DVD, 3rd Row Seat, CD Player, Dual Zone A/C, Fourth Passenger Door, TRANSMISSION: 6-SPEED AUTOMATIC 62TE, UCONNECT HANDS-FREE GROUP. SE trim, Black Onyx Crystal Pearl Coat exterior. FUEL EFFICIENT 25 MPG Hwy/17 MPG City! SEE MORE! KEY FEATURES INCLUDE Third Row Seat, Rear Air, Back-Up Camera, iPod/MP3 Input, CD Player, Dual Zone A/C, Fourth Passenger Door Rear Spoiler, Privacy Glass, Keyless Entry, Steering Wheel Controls. OPTION PACKAGES SINGLE DVD ENTERTAINMENT Wireless Headphones (IR), Video Remote Control, 2nd Row Overhead DVD Console, High Definition Multimedia Interface, 115V Auxiliary Power Outlet, 2nd Row Overhead 9 VGA Video Screen, Charge Only Remote USB Port, Sirius Satellite Radio, 1-Yr SiriusXM Radio Service, For More Info, Call 888-539-7474, UCONNECT HANDS-FREE GROUP Uconnect Voice Command w/Bluetooth, Bluetooth Streaming Audio, Remote USB Port, ENGINE: 3.6L V6 24V VVT, TRANSMISSION: 6-SPEED AUTOMATIC 62TE (STD). 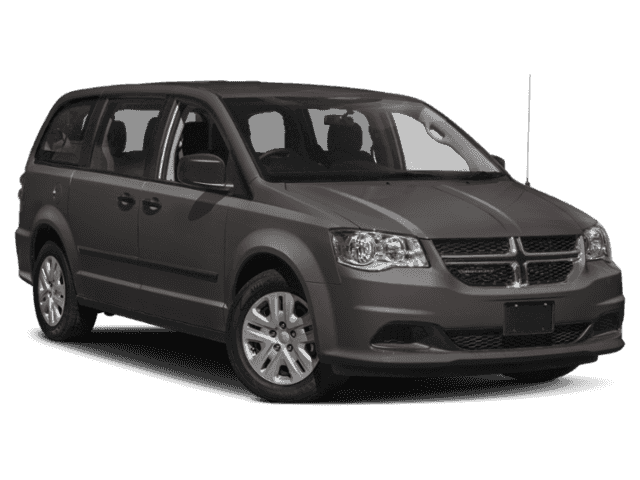 EXPERTS RAVE In front, the Grand Caravan gives its passengers a high seating position, decent adjustment, and excellent outward vision. -TheCarConnection.com. Great Gas Mileage: 25 MPG Hwy. VISIT US TODAY At Shelor Motor Mile we have a price and payment to fit any budget. Our big selection means even bigger savings! Need extra spending money? Shelor wants your vehicle, and we're paying top dollar! Tax DMV Fees & $597 processing fee are not included in vehicle prices shown and must be paid by the purchaser. Vehicle information is based off standard equipment and may vary from vehicle to vehicle. Call or email for complete vehicle specific informatio Chevrolet Ford Chrysler Dodge Jeep & Ram prices include current factory rebates and incentives some of which may require financing through the manufacturer and/or the customer must own/trade a certain make of vehicle. Residency restrictions apply see dealer for details and restrictions. All pricing and details are believed to be accurate but we do not warrant or guarantee such accuracy. The prices shown above may vary from region to region as will incentives and are subject to change. Third Row Seat, CD Player, iPod/MP3 Input, Fourth Passenger Door, Dual Zone A/C, Back-Up Camera, TRANSMISSION: 6-SPEED AUTOMATIC 62TE, Rear Air. EPA 25 MPG Hwy/17 MPG City! SE Plus trim, Granite Pearl Coat exterior. AND MORE! KEY FEATURES INCLUDE Third Row Seat, Rear Air, Back-Up Camera, iPod/MP3 Input, CD Player, Aluminum Wheels, Dual Zone A/C, Fourth Passenger Door. Rear Spoiler, Third Passenger Door, Privacy Glass, Keyless Entry, Steering Wheel Controls. OPTION PACKAGES QUICK ORDER PACKAGE 29H SE PLUS Engine: 3.6L V6 24V VVT (FFV), Transmission: 6-Speed Automatic 62TE, Floor Console w/Cupholder, Instrument Panel w/Piano Black Applique, Blacktop Package, Gloss Black Grille, Silver Accent Stitching, Black Headlamp Bezels, Front Fog Lamps, Rear Fascia Scuff Pad, Highline Door Trim Panel, Automatic Headlamps, Premium Interior Accents, Remote Start System, Security Alarm, Security Group, Leather Wrapped Shift Knob, Uconnect Voice Command w/Bluetooth, Bluetooth Streaming Audio, Remote USB Port, Leather Wrapped Steering Wheel, Sirius Satellite Radio, 1-Yr SiriusXM Radio Service, For More Info, Call 888-539-7474, 2ND ROW STOW 'N GO BUCKET SEATS 3rd Row Stow 'N Go w/Tailgate Seats, POWER 8-WAY DRIVER SEAT Power 2-Way Driver Lumbar Adjust, TRANSMISSION: 6-SPEED AUTOMATIC 62TE (STD), ENGINE: 3.6L V6 24V VVT (FFV) (STD). 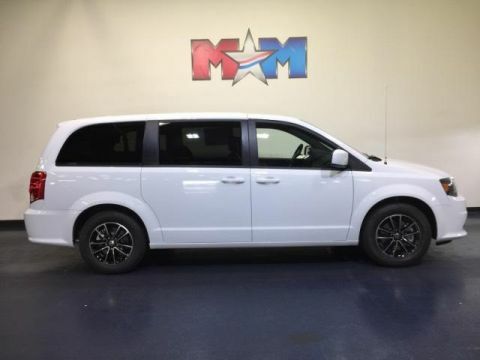 EXPERTS REPORT TheCarConnection.com explains In front, the Grand Caravan gives its passengers a high seating position Great Gas Mileage: 25 MPG Hwy. Approx. Original Base Sticker Price: $32,800*. OUR OFFERINGS At Shelor Motor Mile we have a price and payment to fit any budget. Our big selection means even bigger savings! Need extra spending money? Shelor wants your vehicle, and we're paying top dollar! Tax DMV Fees & $597 processing fee are not included in vehicle prices shown and must be paid by the purchaser. Vehicle information is based off standard equipment and may vary from vehicle to vehicle. Call or email for complete vehicle specific informatio Chevrolet Ford Chrysler Dodge Jeep & Ram prices include current factory rebates and incentives some of which may require financing through the manufacturer and/or the customer must own/trade a certain make of vehicle. Residency restrictions apply see dealer for details and restrictions. All pricing and details are believed to be accurate but we do not warrant or guarantee such accuracy. The prices shown above may vary from region to region as will incentives and are subject to change. Third Row Seat, CD Player, iPod/MP3 Input, Fourth Passenger Door, Dual Zone A/C, Back-Up Camera, TRANSMISSION: 6-SPEED AUTOMATIC 62TE, Rear Air. SE Plus trim, Indigo Blue Clear Coat exterior. EPA 25 MPG Hwy/17 MPG City! CLICK ME! KEY FEATURES INCLUDE Third Row Seat, Rear Air, Back-Up Camera, iPod/MP3 Input, CD Player, Aluminum Wheels, Dual Zone A/C, Fourth Passenger Door Rear Spoiler, Privacy Glass, Keyless Entry, Steering Wheel Controls. OPTION PACKAGES QUICK ORDER PACKAGE 29H SE PLUS Engine: 3.6L V6 24V VVT (FFV), Transmission: 6-Speed Automatic 62TE, Floor Console w/Cupholder, Instrument Panel w/Piano Black Applique, Blacktop Package, Gloss Black Grille, Silver Accent Stitching, Black Headlamp Bezels, Front Fog Lamps, Rear Fascia Scuff Pad, Highline Door Trim Panel, Automatic Headlamps, Premium Interior Accents, Remote Start System, Security Alarm, Security Group, Leather Wrapped Shift Knob, Uconnect Voice Command w/Bluetooth, Bluetooth Streaming Audio, Remote USB Port, Leather Wrapped Steering Wheel, Sirius Satellite Radio, 1-Yr SiriusXM Radio Service, For More Info, Call 888-539-7474, 2ND ROW STOW 'N GO BUCKET SEATS 3rd Row Stow 'N Go w/Tailgate Seats, POWER 8-WAY DRIVER SEAT Power 2-Way Driver Lumbar Adjust, TRANSMISSION: 6-SPEED AUTOMATIC 62TE (STD), ENGINE: 3.6L V6 24V VVT (FFV) (STD). 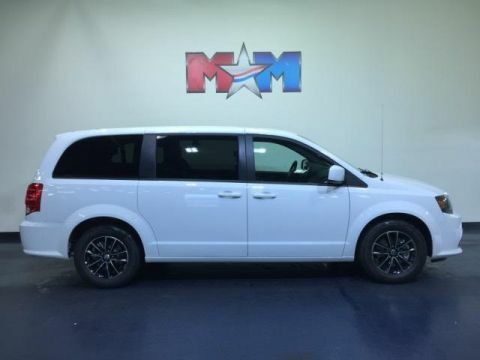 VEHICLE REVIEWS In front, the Grand Caravan gives its passengers a high seating position, decent adjustment Great Gas Mileage: 25 MPG Hwy. Approx. Original Base Sticker Price: $32,800*. VISIT US TODAY At Shelor Motor Mile we have a price and payment to fit any budget. Our big selection means even bigger savings! Need extra spending money? Shelor wants your vehicle, and we're paying top dollar! Tax DMV Fees & $597 processing fee are not included in vehicle prices shown and must be paid by the purchaser. Vehicle information is based off standard equipment and may vary from vehicle to vehicle. Call or email for complete vehicle specific informatio Chevrolet Ford Chrysler Dodge Jeep & Ram prices include current factory rebates and incentives some of which may require financing through the manufacturer and/or the customer must own/trade a certain make of vehicle. Residency restrictions apply see dealer for details and restrictions. All pricing and details are believed to be accurate but we do not warrant or guarantee such accuracy. The prices shown above may vary from region to region as will incentives and are subject to change. 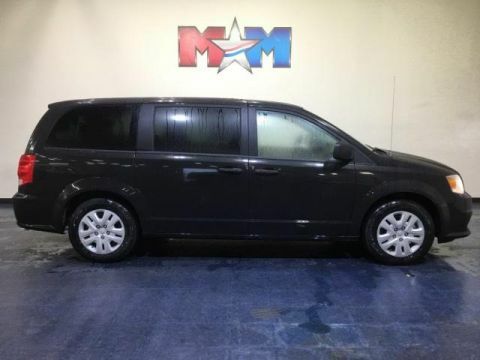 3rd Row Seat, CD Player, iPod/MP3 Input, Fourth Passenger Door, Dual Zone A/C, Back-Up Camera, Quad Seats, Rear Air. FUEL EFFICIENT 25 MPG Hwy/17 MPG City! White Knuckle Clear Coat exterior and Black interior, SE Plus trim SEE MORE! KEY FEATURES INCLUDE Third Row Seat, Rear Air, Back-Up Camera, iPod/MP3 Input, CD Player, Aluminum Wheels, Dual Zone A/C, Fourth Passenger Door. Rear Spoiler, Third Passenger Door, Privacy Glass, Keyless Entry, Steering Wheel Controls. OPTION PACKAGES QUICK ORDER PACKAGE 29H SE PLUS Engine: 3.6L V6 24V VVT (FFV), Transmission: 6-Speed Automatic 62TE, Floor Console w/Cupholder, Instrument Panel w/Piano Black Applique, Blacktop Package, Gloss Black Grille, Silver Accent Stitching, Black Headlamp Bezels, Front Fog Lamps, Rear Fascia Scuff Pad, Highline Door Trim Panel, Automatic Headlamps, Premium Interior Accents, Remote Start System, Security Alarm, Security Group, Leather Wrapped Shift Knob, Uconnect Voice Command w/Bluetooth, Bluetooth Streaming Audio, Remote USB Port, Leather Wrapped Steering Wheel, Sirius Satellite Radio, 1-Yr SiriusXM Radio Service, For More Info, Call 888-539-7474, 2ND ROW STOW 'N GO BUCKET SEATS 3rd Row Stow 'N Go w/Tailgate Seats, POWER 8-WAY DRIVER SEAT Power 2-Way Driver Lumbar Adjust, TRANSMISSION: 6-SPEED AUTOMATIC 62TE (STD), ENGINE: 3.6L V6 24V VVT (FFV) (STD). 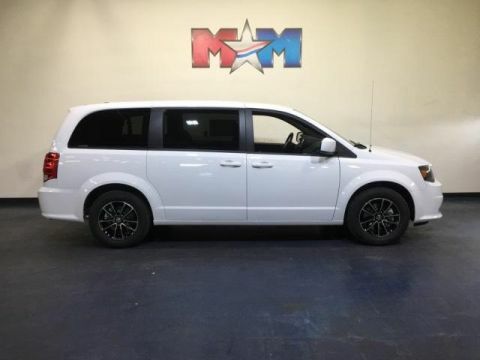 Dodge SE Plus with White Knuckle Clear Coat exterior and Black interior features a V6 Cylinder Engine with 283 HP at 6400 RPM*. Approx. Original Base Sticker Price: $32,800*. OUR OFFERINGS At Shelor Motor Mile we have a price and payment to fit any budget. Our big selection means even bigger savings! Need extra spending money? Shelor wants your vehicle, and we're paying top dollar! Tax DMV Fees & $597 processing fee are not included in vehicle prices shown and must be paid by the purchaser. Vehicle information is based off standard equipment and may vary from vehicle to vehicle. Call or email for complete vehicle specific informatio Chevrolet Ford Chrysler Dodge Jeep & Ram prices include current factory rebates and incentives some of which may require financing through the manufacturer and/or the customer must own/trade a certain make of vehicle. Residency restrictions apply see dealer for details and restrictions. All pricing and details are believed to be accurate but we do not warrant or guarantee such accuracy. The prices shown above may vary from region to region as will incentives and are subject to change. DVD Entertainment System, Heated Seats, Third Row Seat, iPod/MP3 Input, CD Player, Power Fourth Passenger Door, Back-Up Camera, DRIVER CONVENIENCE GROUP. White Knuckle Clear Coat exterior, SXT trim. EPA 25 MPG Hwy/17 MPG City! READ MORE! 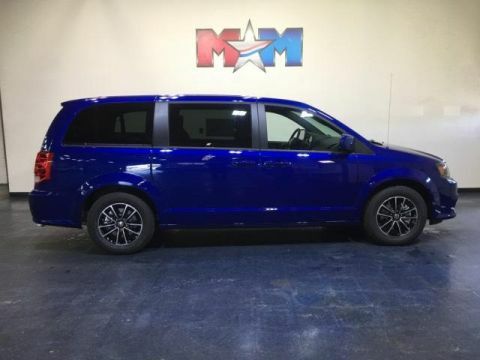 KEY FEATURES INCLUDE Third Row Seat, Quad Bucket Seats, Power Liftgate, Back-Up Camera, iPod/MP3 Input, CD Player, Power Fourth Passenger Door Rear Spoiler, Privacy Glass, Remote Trunk Release, Keyless Entry. OPTION PACKAGES SINGLE DVD ENTERTAINMENT Wireless Headphones (IR), Video Remote Control, 2nd Row Overhead DVD Console, High Definition Multimedia Interface, 115V Auxiliary Power Outlet, 2nd Row Overhead 9 VGA Video Screen, Charge Only Remote USB Port, Sirius Satellite Radio, DRIVER CONVENIENCE GROUP Overhead Storage Bins, Cupholders w/Overhead Illumination, Single Rear Overhead Console System, Sun Visors w/Illuminated Vanity Mirrors, Heated Steering Wheel, Overhead Ambient Surround Lighting, Left 2nd Row Window Shades, Right 2nd Row Window Shades, Illuminated Front Door Storage, Heated Front Seats, Universal Garage Door Opener, Rear Swiveling Reading/Courtesy Lamps, 3 Zone Auto Control Front/Rear A/C, BLACKTOP PACKAGE Leather Wrapped Shift Knob, Black Interior Accents, Silver Accent Stitching, Black Headlamp Bezels, Front Fog Lamps, Delete Roof Rack, Wheels: 17 x 6.5 Aluminum, Rear Fascia Scuff Pad, Leather Wrapped Steering Wheel, ENGINE: 3.6L V6 24V VVT (FFV) (STD), TRANSMISSION: 6-SPEED AUTOMATIC 62TE (STD), QUICK ORDER PACKAGE 29P Engine: 3.6L V6 24V VVT (FFV), Transmission: 6-Speed Automatic 62TE, Black Finish I/P Bezel, Leather Wrapped Shift Knob, Highline Door Trim Panel, Front Fog Lamps, Automatic Headlamps, Remote Start System Tax DMV Fees & $597 processing fee are not included in vehicle prices shown and must be paid by the purchaser. Vehicle information is based off standard equipment and may vary from vehicle to vehicle. Call or email for complete vehicle specific informatio Chevrolet Ford Chrysler Dodge Jeep & Ram prices include current factory rebates and incentives some of which may require financing through the manufacturer and/or the customer must own/trade a certain make of vehicle. Residency restrictions apply see dealer for details and restrictions. All pricing and details are believed to be accurate but we do not warrant or guarantee such accuracy. The prices shown above may vary from region to region as will incentives and are subject to change. Third Row Seat, Heated Seats, Navigation, iPod/MP3 Input, CD Player, Power Fourth Passenger Door, Back-Up Camera, DRIVER CONVENIENCE GROUP, Power Liftgate. EPA 25 MPG Hwy/17 MPG City! White Knuckle Clear Coat exterior, SXT trim CLICK NOW! KEY FEATURES INCLUDE Third Row Seat, Quad Bucket Seats, Power Liftgate, Back-Up Camera, iPod/MP3 Input, CD Player, Power Fourth Passenger Door Rear Spoiler, MP3 Player, Privacy Glass, Remote Trunk Release. OPTION PACKAGES RADIO: 430 NAV SiriusXM Travel Link, 5-Year SiriusXM Travel Link Service, Garmin Navigation System, Sirius Satellite Radio, DRIVER CONVENIENCE GROUP Overhead Storage Bins, Cupholders w/Overhead Illumination, Single Rear Overhead Console System, Sun Visors w/Illuminated Vanity Mirrors, Heated Steering Wheel, Overhead Ambient Surround Lighting, Left 2nd Row Window Shades, Right 2nd Row Window Shades, Illuminated Front Door Storage, Heated Front Seats, Universal Garage Door Opener, Rear Swiveling Reading/Courtesy Lamps, 3 Zone Auto Control Front/Rear A/C, BLACKTOP PACKAGE Leather Wrapped Shift Knob, Black Interior Accents, Silver Accent Stitching, Black Headlamp Bezels, Front Fog Lamps, Delete Roof Rack, Wheels: 17 x 6.5 Aluminum, Rear Fascia Scuff Pad, Leather Wrapped Steering Wheel, QUICK ORDER PACKAGE 29P Engine: 3.6L V6 24V VVT (FFV), Transmission: 6-Speed Automatic 62TE, Black Finish I/P Bezel, Leather Wrapped Shift Knob, Highline Door Trim Panel, Front Fog Lamps, Automatic Headlamps, Remote Start System, Power 2-Way Driver Lumbar Adjust, Power 8-Way Driver Seat, Security Alarm, Security Group, Uconnect Hands-Free Group, ENGINE: 3.6L V6 24V VVT (FFV) (STD), TRANSMISSION: 6-SPEED AUTOMATIC 62TE (STD). Tax DMV Fees & $597 processing fee are not included in vehicle prices shown and must be paid by the purchaser. Vehicle information is based off standard equipment and may vary from vehicle to vehicle. Call or email for complete vehicle specific informatio Chevrolet Ford Chrysler Dodge Jeep & Ram prices include current factory rebates and incentives some of which may require financing through the manufacturer and/or the customer must own/trade a certain make of vehicle. Residency restrictions apply see dealer for details and restrictions. All pricing and details are believed to be accurate but we do not warrant or guarantee such accuracy. The prices shown above may vary from region to region as will incentives and are subject to change.